CP Titanium Grade 2 Plate has been known for its high strength and toughness, durability and low density, and ability to withstand high and low temperatures. Commercially Pure or SB 265 Gr 2 is unalloyed. 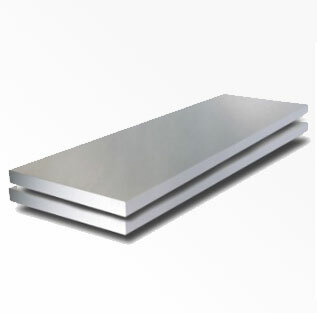 Grade 2 Titanium Sheet has higher levels of iron and oxygen than other CP grades, which offers excellent formability and moderate strength with superior corrosion resistance. Titanium Alloy Grade 2 plate has good strength to weight ratio, maintained at high temperatures. Titanium Grade 2 Clad Plate is also known as Ti Grade 2 Coil, Timetal 50A, Titan Grade 2, and Allvac 40. 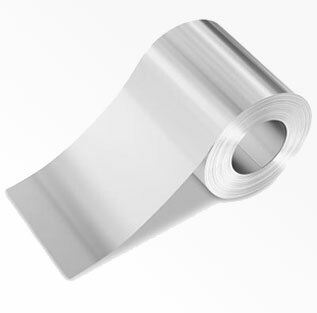 Titanium Cp Grade 2 Flat Sheet is higher in strength than CP Grade 1 Titanium Sheet, but lower in strength than CP Grade 3 Titanium Sheet and CP Grade 4 Titanium Sheet. Cp Ti Grade 2 Plate typically comes in the Annealed condition. B265 Gr2 Shim Stock is an attractive Grade due to its excellent corrosion resistance, good formability, and limited strength. Ti Cp Grade 2 Rolling Sheets is used in a variety of industries such as chemical, marine, medical, recreational, and aerospace. Titanium Grade 2 is an unalloyed, medium strength titanium product. This titanium grade is used in airframes, aircraft engines, and marine parts; good weldability and corrosion resistance are its distinguishing characteristics. Titanium Grade 2 Cold rolled Plate & Ti Alloy Grade 2 Plates can be cold formed by standards methods. Looking for best price of Titanium Grade 2 Rolling Plate in India? We have no minimum footage requirements. We will supply the exact amount of Commercially Pure Grade 2 Titanium Flat Shim you require even if it’s small quantity of Titanium Grade 2 Perforated Plate. Contact Steel Tubes India- the right supplier of Sb 265 Gr 2 Hot rolled Plate near you. Steel Tubes India offers one of the widest ranges of Pure Titanium Gr 2 sheet and Grade 2 Titanium plate in various qualities, sizes and grades which are equivalent to Titanium grade 2 Sheet & Titanium grade 2 Plate (2mm to 12mm). Titanium grade 2 Sheet is available in thicknesses ranging from .016 to .156". Large size ASME SB 265 Gr.2 sheet will also diminish the size of the undesirable heat-affected zone caused by welding. We also stock & supply extra large-size Titanium grade 2 Sheets, thin and ultra-thin gauge Ti. Alloy Grade 2 strip and foil products, rolled down to 2 microns. Superior technology as well as extensive quality control from steelmaking to finishing assure the stable production of ASTM B265 Grade 2 Hot Rolled Plates in uniformly of excellent quality. We apply the process of surface finishing to our Cp Grade 2 Titanium Polished Plate by pickling or buff-polishing. 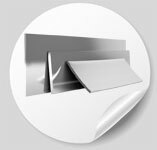 Titanium grade 2 Strips levels of finishing & cut can be adjusted according to your requirements. Titanium grade 2 Plate is available in the form of Sheet, Coils, Foils, Rolls, Plain Sheet, Shim Sheet, Strip, Flats, Clad Plate, Rolling Sheet, slitting coil, Rolling Plate and Flat Shim. The Titanium grade 2 Plate Weight Calculator allows you to calculate an estimate of the weight of different sizes of Titanium grade 2 plates based on dimensions and shape. Titanium grade 2 Shim is sold in either 300mm or 600mm rolls and sheet form. The thin material can be used in power plants, nuclear plants or gas and oil refineries. Our Ti. Alloy Gr 2 Plates Dealers & Distributors in UK, USA, Sweden, Israel, Germany, Russia, France, Italy, Canada, UAE, Saudi Arabia, Malaysia, Singapore, Oman, Kuwait, Qatar, Iran, Indonesia & Australia arrange complete range of Titanium grade 2 plates in shortest time as well at best price, because we maintain Titanium grade 2 Sheet & Titanium Gr 2 Thick Plates in stock for sale, so it saves time & cost to procure any size range in Bright annealed Titanium grade 2 sheet from any other vendor or Manufacturer of Titanium Gr 2 Plates & mirror finish Titanium grade 2 plate in India. Titanium grade 2 sheet equivalent are mentioned in following table. The Chemical Composition of Titanium grade 2 is Nitrogen 0.03, Hydrogen 0.015, Carbon 0.08, Oxygen 0.20 and Iron 0.25. The ductility of Titanium Grade 2 is very good and this allows for cold formability. Titanium grade 2 can be very easily welded, hot worked and machined. Titanium Grade 2 can be welded by using different methods like TIG and MIG. Titanium Grade 2 finds tremendous use in applications that call for very high resistance to corrosion. 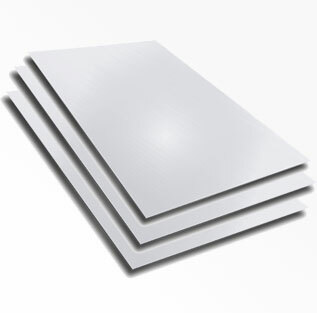 Cp Ti Grade 2 Clad plate: Titanium grade 2 Clad plate is a composite steel plate made by bonding Titanium grade 2 plate, etc. Sheet; cold rolled, annealed, clean 0.5x1000x2000 mm, 4.51 kg/pc. Sheet; 1.5x1000x2000 mm, 13.54 kg/pc. Sheet; 1.5x1000x2500 mm, 16.92 kg/pc. Sheet; 1.5x1000x3000 mm, 20.31 kg/pc. Sheet; 1.54x1250x2000 mm, 17.37 kg/pc. Plate; annealed 5.0x310x310 mm, 2,17 kg/pce. plate 5.0x1250x4000 mm, 112,75 kg/Stk. plate 6.0x1250x4000 mm, 135,3 kg/Stk. Platte 8.0x1000x3000 mm, 108,24 kg/St. plate 8.0x1000x2000 mm, 72,16 kg/St. plate 10.0x1250x4000 mm, 225,50 kg/Stk. plate 15.0x500x1000 mm, 33,83 kg/Stk. If thickness greater than 6.35 mm is called a Titanium Cp Grade 2 Plate. If thickness greater than 0.15 mm and less than 6.35mm is called a Grade 2 Titanium Sheet. If thickness less than 0.15mm is then its a Cp Ti Grade 2 Foil.